The application for the 2019-2020 class of 1899 Society Collegiate Ambassadors is now open! Click here to start your application today. 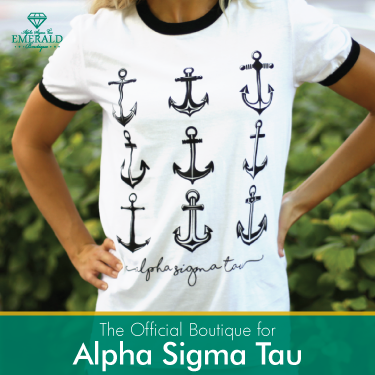 1899 Society Collegiate Ambassadors are committed to advancing the culture of philanthropy in their chapters and sharing with their peers the impact of the Alpha Sigma Tau Foundation. Ambassadors represent the Foundation and the 1899 Society collegiate giving program throughout the year on social media and by coordinating activities with their local chapters. Applications for the 2019-2020 academic year will be accepted from April 1 – June 1, 2019. Individuals will be notified by August 1, 2019, if they have been selected, and the role will begin in September 2019. Thank you to past 1899 Society Collegiate Ambassadors for their service and dedication to empowering women and growing the future for Alpha Sigma Tau. Interested in representing your chapter as an 1899 Society Collegiate Ambassador? Contact Emily Kindred, Director of Development, at ekindred@alphasigmatau.org for more information.